A dedicated server is when a customer hires a physical machine from a hosting provider such as Dhaka Web Host Ltd. The user has complete freedom to make any changes in server configuration according to his websites growing demand at any point of time. 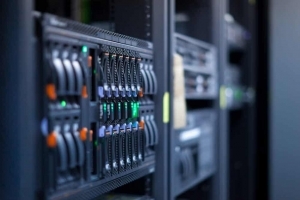 A dedicated hosting service, dedicated server, or managed hosting service is a type of Internet hosting in which the client owned an entire server not shared with anyone else. This is more flexible than shared hosting, as organizations have full control over the server(s), including choice of operating system, hardware, etc. The abbreviation of VPS is Virtual Private Server which is built on a high end dedicated server hardware with its own resources, Server space, unique IP and advance security. Dhaka Web Host’s VPS Servers are built to deploy flexibility, scalability and security to a website. Now you might take a look at the differences between VPS hosting and Dedicated hosting.